What an incredible month! 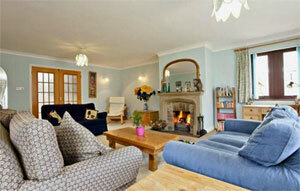 The house went on sale at the beginning of the month and within three weeks we had an offer that we have accepted. The new purchaser would like to move in before the end of August so the clock is ticking. Jane's mum decided that she is better off in the care home that she had been staying in and so this is now her permanent residence which means her house had to be put on the market and cleaned up. We continue to progress with the house project but it often seems like two steps forward and one step back. Until we get water onto the site (awaiting Anglia Water) no progress can be made towards getting the foundations installed. We continue to clear the trees and shrubs that we don't want, as agreed with the local tree officer. We’ve taken the plunge and put the house on the market. We took time preparing so that it was freshly painted and clean but we were not prepared for when the estate agent came in with his assistant, a photographer and the Energy Performance man. The rooms were “dressed” for the photos so we had to put loads of stuff out of sight to give an uncluttered but lived in look – not an easy concept to achieve in our house. So it has been advertised! Click here for a preview… We now wait for the nail biting experience of the first viewings and of course we have to keep the place neat and tidy. After only 3 short weeks it seems we have sold the house. We had a second viewing on Tuesday and the potential buyers seemed very interested in how they would change the internal rooms to suit their needs. The Estate Agent gave us a call on Wednesday to say they had made an offer and after a brief negotiation we agreed a price that we are all happy with. Of course there’s a long way to go before we’re in a position to set a moving date but things are happening and far more rapidly than we had expected; too fast because it does mean we will have to move into rented accommodation in Lincolnshire whilst the house build goes ahead. So now we have to find a solicitor, get quotes from removal firms and continue with the packing that we’ve already started. Just as well Jane retires at the end of the month. 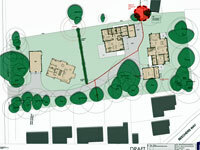 After getting the go ahead to remove three of the larger trees on the site we stayed the Bank Holiday weekend at Tealby in a three bedroom cottage which was only 3 miles from the site. Two of the trees could be felled with minimal risk to people or property so they were removed. 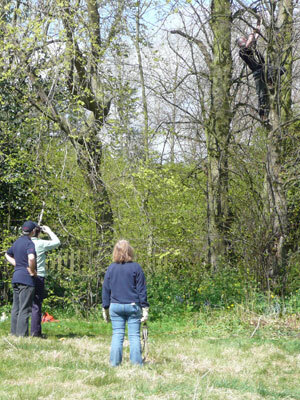 Nick can be seen up the tree on the right tying on the rope. He then made the necessary V cut in the base and we pulled on the rope until the cut was enough for the tree to fall. Of course cutting the tree down is only the beginning, we then had to cut off the smaller branches and log it so we could start building piles of wood ready for them to be chipped next week. The site looks amazing now that we have started clearing the undergrowth and the lower growing branches. We also have met some of the neighbours who all seem very friendly and tolerant of chain saws running for most of the weekend. We travelled up to Market Rasen to meet the builders alongside our architect. Their quote for the work was slightly less than the other bidders and they were the most enthusiastic about the work when we interviewed them however the total build costs were much higher than we anticipated so we were looking for savings. It was an interesting morning and we managed to save £12K on the external render. We’d specified some lightweight render that had a good thermal efficiency however it turns out that it’s 4 times the price of normal render so we soon ditched that. We’re also looking at white wood for skirting and architraves which not only saves us money it also gets over the problem of different coloured woods throughout the house and it sets off the oak doors that we have selected. More delays seem to be creeping into the programme because of getting water onto the site as it seems the utility companies are not very quick to react to requests. There is some doubt that we will be in by November. This was depressing news but I’m sure we’ll get over it. The four hour round trip was a bit of a struggle and Steve was fighting off sleep for some of the journey home. Next time we go up we’ll try to stay overnight. 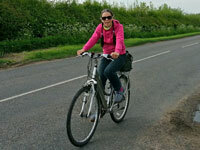 Today was the first day that Jane felt confident enough to get out on her bike. She did a short ride to Kislingbury in the morning and then, after a lunchtime swim, we went for a ride together into Sue & Graham’s in Northampton. It is only a seven mile round trip but Jane’s knee held up well and she cycled up every hill. Her fitness and the strength of her injured knee is nearly back to normal although it is vulnerable when walking on uneven ground or when she tries to run. And so the house clearance continues. Our lives are full of “stuff” and very little is essential to our continued happiness so rather than move house with all this unnecessary stuff we are either selling it, or trying to, and if that fails we’re giving it away to charity. 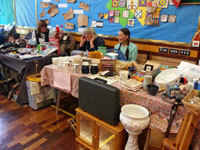 The village Table Top sale was too good to miss so we had a table alongside Graham and Sue. We did ok but we still had two large boxes of the dreaded “stuff” that will go to charity shops. We’d booked the tickets many months ago and we had worried over which seats to get because the Albert Hall can be a bit of a lottery, even the most expensive seats don’t always give a good view. We travelled down to stay with Jane’s brother and after spending a sunny afternoon drinking tea we headed off across London arriving at the Albert Hall in time to eat a snack in the pleasant surroundings of Kensington Gardens before finding our way into our seats for 7.30pm. For the first time we were sitting in the arena area about 20 rows from the front and had a really good view of the stage. The supporting act was Ruth Moody and her band. She was very good however it was difficult to hear all the words and most of her songs seem to be telling a story so a lot was lost in translation. 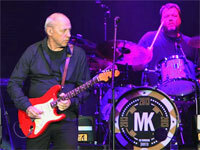 As is usual with supporting bands the sound system is rarely tuned to their particular needs and so it was a shame. We walked back to South Kensington tube station with a spring in our steps, a tear in our eyes and a warm feeling in our hearts. A night to remember without a doubt.